Hello there to all that have a passion for horses and strive to achieve the best in their equestrian lives. I’m Petros and I will be writing this blog hoping to bring to you some useful tips and training ideas that can help everyone achieve their goals. Along the way I will share some of my experiences of schooling, competing horses and coaching riders over the past 25 years. As spring is, hopefully, approaching, our preparations for the spring/summer competitive season should be well on the way. The Eventing calendar will soon be starting and hopefully the winter’s schooling is paying off so that the horses are more ready then ever to take on the season. The fitness program counting down to the first events should be on track without over doing it and putting too much pressure too early. 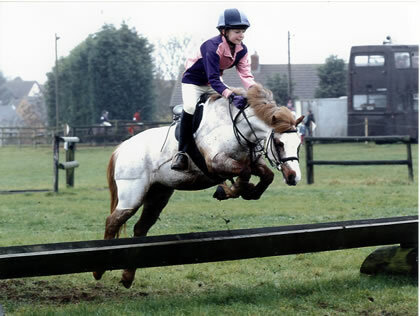 Ground has been pretty good around here (Hertfordshire) so some X country schooling should be possible!!! Have fun!